There are a lot of card games out there in the wild that are either similar in gameplay or stick to certain mechanics, but today I am going to introduce you a game like no other, Arkham Horror: The Card Game. Arkham Horror TCG is a Living Card Game designed by Fantasy Flight Games and is a cooperative game rather than a competitive one. 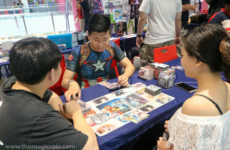 Although it uses cards as its gameplay pieces, the game acts more like a Role Playing Game than a traditional card game. Unlike other card games, you only need the Core Set to get all the cards and you can buy their chapter packs to add more cards. The Chapter Packs are relatively cheap and only need to be bought once. 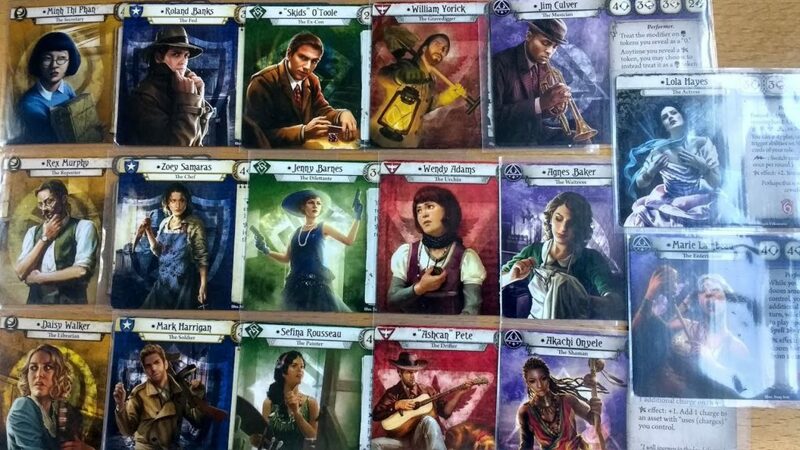 In Arkham Horror TCG, you are investigators in a crazy driven world full of elder god worshiping cultists, zombies, horrors and Eldritch gods. The game is set in the Eldritch myth, written and popularized by H. P. Lovecraft where Eldritch Horrors lurks in the shadows sleeping and waiting to devour our world. 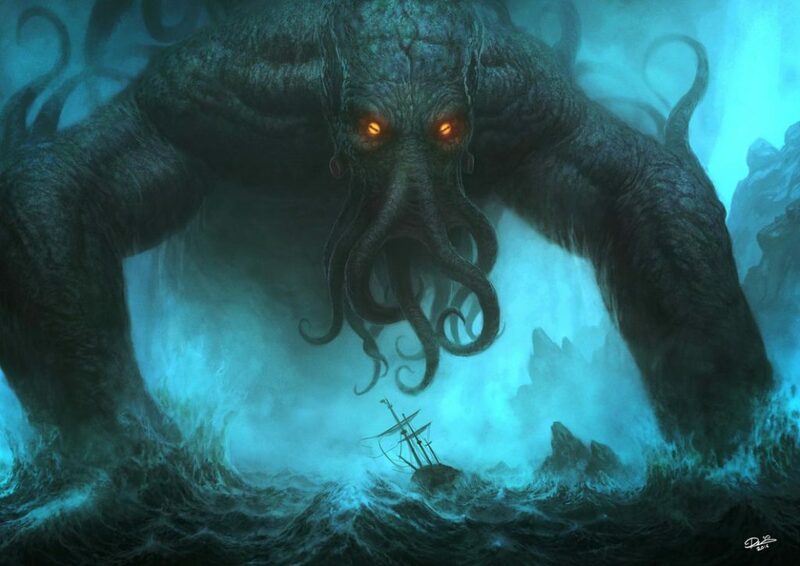 You may know some of these Eldritch Horrors like Cthulhu, The Yellow King and Azathoth which is well known in pop culture. Unlike other games, Arkham Horror TCG is an automatic game where you can play alone, but it’s even better with friends of five. A mystery is set out in play and each player will set out to solve the mystery as they gather clues scattered on location cards. This is what sets apart the game from other games as it is more of a role playing game then a card game. The players can help each other out and work together to get to the goal of the mystery. You play as one of the investigators and start out with a deck of items, allies, magics and weapons to help in your investigation. You will investigate a wide variety of places from rooms of libraries to dreary swamps as you collect clues to solve the current mystery. 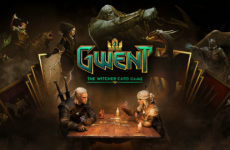 You will spend your money to play cards from your hand to gain allies, weapons and spells. Each turn, it gets harder as the plot of the current mystery of the Eldritch gods loom closer and evil entities spawn to hinder your way. You will have to work together to spend only 3 actions per player’s turn to plan out your path and either kill monsters impeding your investigation or rush out for clues to solve the mystery. Each turn and each step you take will bring both excitement and anticipation as you will not know what will come next. Furthermore, the game also works like the Role-Playing Game, Dungeon & Dragons where the players will be playing in campaigns rather than just one game. At the end of a campaign, the players will bring their individual investigator to the next campaign and the next while gaining experience and hints. 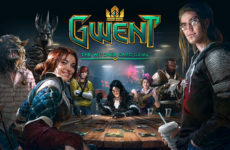 Players will write down hints and evidence they have gathered in the current campaign as each storyline will affect the next campaign. Players will also be able to spend their experience to gain better cards to add to their deck. Therefore, the game will always be ever-changing with each campaign and more campaigns will be available to be played when Fantasy Flight Games releases them. Moreover, losing a player during the campaign doesn’t affect the storyline and the player that was lost can just come back for the next one without any problems. So, go out there investigators and solve the mystery of the Eldritch Gods. Prevent them from breaching into our world or worse, devouring our world. Until next time, beware Azathoth, the hideous one!